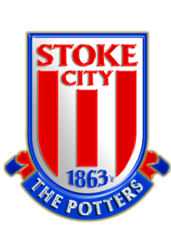 Julien NGoy, Ibrahim Afellay, Stephen Ireland and Ryan Shawcross ruled out. Darren Fletcher, Mame Birame Dioud and Kurt Zouma doubtful. 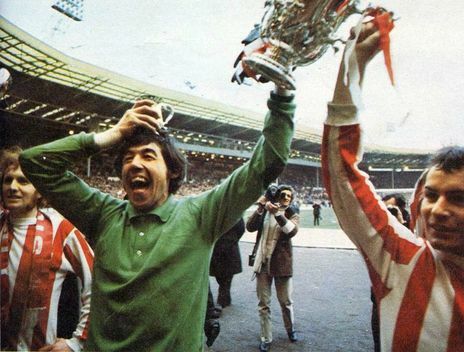 Although Stoke haven't enjoyed a lot of title-winning success in their 150 year old existence (the 1972 League Cup victory over Chelsea under Tony Waddington remains their only major trophy), they have fielded the likes of Stanley Matthews, Gordon Banks, Alan Hudson and Dennis Violett over the years. 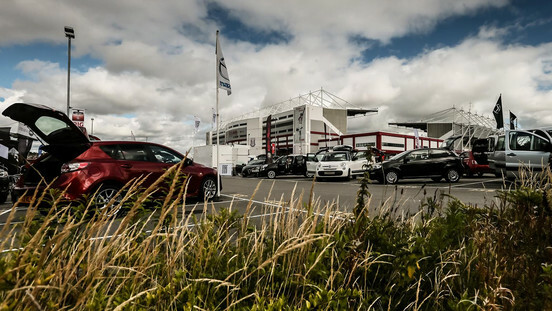 Stoke's most prominent rivals are Wolverhampton Wanderers, West Bromwich Albion, and local club Port Vale; and they play their home games at the Bet365 Stadium (previously known as the Britannia Stadium). Same line up as today. We'll win 2-0. I'll start Rashford for this one and keep everything the same. Keep rotating between Rashford and Martial on the left flank as each one deserves to have a game. Gonna be tricky so I'll predict 2-0 for us. I'll jump in early, I can see this being a horrible game. Proper boring compared to our first three games this season. I also think we'll be lucky to nick a win, just a hunch. I'd keep the same team but once again, I'd swap Rashford and Martial and give Marcus the starting berth. No other changes, possibly Darmian in for Blind. Jese to score for them. Mata (penalty) and Martial off the bench in the dying minutes to nick the win. I'm at a festival when this is being played so it'll be the first game I'll miss. Could do with keeping our momentum going after the internationals so another 2-0 win would be great. The great Mourinho sides are built on solid defences so I'm hoping we can keep the clean sheet run going aswell. Stoke are always, always a pain in the hole to play. Were home to Basel in the CL three days after this so I'm sure just will have a plan to deal with the fact that we need to start the group well. It's a bit pointless guessing lineups as we have to see what happens with the internationals, our entire team minus a few got called up for their NT. No. Position Player Called Up? Yippy, and international break after 3 weeks of premier league football. Jus what everyone wanted! Just do away with the lot of it. Anyway, will be interesting to see whether Jose sticks with Martial or reverts back to using Rashford. Haven't won away to Stoke in the league for 4 years. I'm going 1-1, Jese scoring 40' before Mata scoring 65'. Glad to get this out of the way early in the season. why on earth is this a 5.30 kick off!? Usually a tough game, but I think we'll end up making it look relatively easy. 0-2. Another clean sheet, and probably another Mkhi assist. I think Herrera and Darmian might come in for this one. Curious to see if Stoke play 3-4-3 like they did Arsenal and if Mourinho keeps our 4-2-3-1. I can see him get all superstitious and not mess with the system till we lose points. Its as good a time as any to play them at home, they look very weak at the moment. I think Fellaini could find his way in somewhere. Hughes always bottle against us, good man Sparky. 2-0 or 3-1 win. Same team would do even though I'd have no problem if Mourinho goes with a 3 man midfield and give Fellaini/Herrera a start. Martial will start against Stoke. Valencia could be rested since he'll start both games for Ecuador and will travel long distance. The rest won't be needing too much rest. 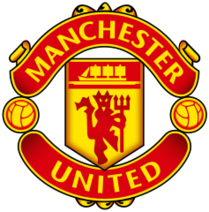 I just hope they all come back without injury especially Jones. This time last year we when we came back from the stupid international break we lost to city and things become to get more worse, so hopefully Jose takes notes which I believe he will. Ah...just weird they chose that match. Stoke V Man utd would always usually be a 3.00pm Saturday kick off. I miss those....!! The cracks were there even before the break. We struggled to beat Hull at home, only took the 3 points due to an injury time goal. The City match we should've drew but that was more on Bravo's horror show than our attacking prowess. We are much better going forward this season. He also tries to get free, and always wants the ball, whether he is in tight situations or not..
Then he can deliver a match winning pass, by splitting a defence wide open...He is always looking for this, and he can score himself also.. Going to be hard when half the squad is going to come back injured. I'm still quite reserved but if we win this game, feck me...I will start getting excited. In previous years, this would a certain draw. I never could agree with the CF taking penalties, just so as he can be top scorer...Penalties need to be converted, and we need an expert at taking them.. I know that we could need a few penalty takers when we get to some cups, but we need one expert at taking penalties all the time..
Not really. Home fixtures vs Stoke are usually 3pm on a Saturday. However, our away fixtures are normally televised. Getting out with a win and a clean sheet will be extremely difficult, I think. This match will be a very good test for us. Really can't predict the result, one of the trickiest fixtures of the season, glad we're getting it out of the way early. I'd take a 0-1 now if you offered it to me, if we score in the first half I think we'll run away with it, but if Stoke nick one we could drop points. West ham and Swansea have also been a pain in the hole in the past few seasons, we will be fine.